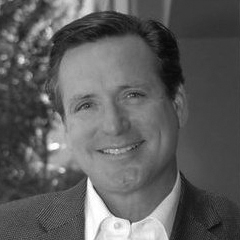 Robert Brossier Reese, Jr., President, Brossier Corp., has 32 years’ experience in real estate development, construction and finance. He started his career as a commercial real estate lender/underwriter and served as a Vice President for both Bank of America and SunTrust, leaving the lending business to pursue his career in development. As a developer, he re-founded Brossier Corp., which was started by his great grandfather in Miami in 1893. Since then, he has developed just about every product type in real estate; retail, medical, office with a focus on multi-family housing, (market rate, senior, and student housing throughout the Southeast). Reese was successful in permitting a $350 Million, 1.4 million sq. ft. mixed-use project, Maitland Town Center, which was the largest public private partnership in the state. Florida’s Governor Charlie Crist cut the ribbon in 2008, however, the real estate crash caused the banks to renege on funding the project, many of whom closed offices and fled Florida. Today, Brossier Corp. has 658 multi-family units funded, about to break ground in Lakeland, and in permitting in Southwest Orange County near Disney. As a complete turn-key development firm Brossier Corp., completes its own demographic technical site analysis specific to its product types, financial underwriting, and permitting. Consequently, over the past 27+ years 100% of their projects have involved comprehensive land-use changes, re-zoning, wetlands, endangered species, species of special concern, and/or political conflict with neighborhoods against the development. In all cases, Reese was successful in overcoming these challenges to develop every project. Reese holds active licenses as Certified General Contractor and Real Estate Broker in the state of Florida.